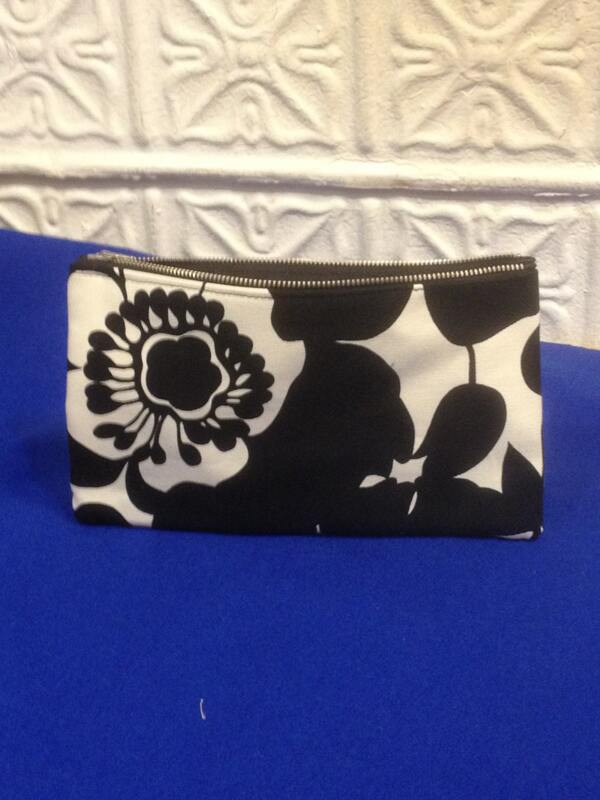 Beautiful black and white floral lightweight cotton canvas 9" pencil case. Everybody needs a pouch and this one is perfect for any number of reasons. It makes a great cosmetic bag, toiletry case, organizer and can even be carried as a small clutch when you just need the essentials. This case is lined with a water repellant canvas and has a zippered closure. We accept Paypal, all major credit cards. There is an 8.875% tax on all orders from the state New York. We ship USPS or UPS. Upgrades are available.